This summer, Discovery Kids will present the tales of the most popular kid in the Indian mythological history, the supreme personality of Godhead, Little Krishna . A family-friendly entertainment series, Little Krishna starting May 3rd will unfold the chronicles of a beloved prankster and his metamorphosis into India’s legendary heritage character. The series will also enchant the auspicious tale of Lord Krishna’s childhood beating ferocious demon King Kamsa. Little Krishna was believed to be lovable and mischievous character who always enjoyed helping his friends and villagers. Catch the magic of Little Krishna every day at 7 PM only on Discovery Kids. 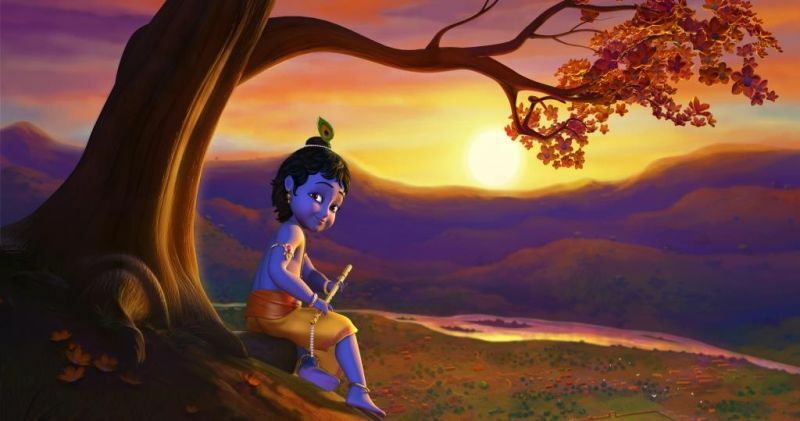 The series will feature Little Krishna who is the darling of Vrindavan, the land of peace and tranquility which is constantly threatened by the malice of evil king Kamsa. A prophecy had threatened Kamsa that a savior will descend on earth to make him meet his worst adversity in life, which is his death. The only objective of Kamsa’s life therefore was to find his devil of death. Sworn to see the end of Krishna, Kamsa relentlessly sends his trusted aids, the ferocious demons to Vrindavan in order to kill Krishna. But Krishna is born to be a savior as he crushes the deadly demons one after another with heroic poise. Little Krishna also manifests his mesmerizing charms with his soulful flute that compels every living creature to dance to his tunes. Viewers can witness splendid animation bringing Krishna’s Vrindavan pastimes to life every day in Little Krishna at 7PM on Discovery Kids.